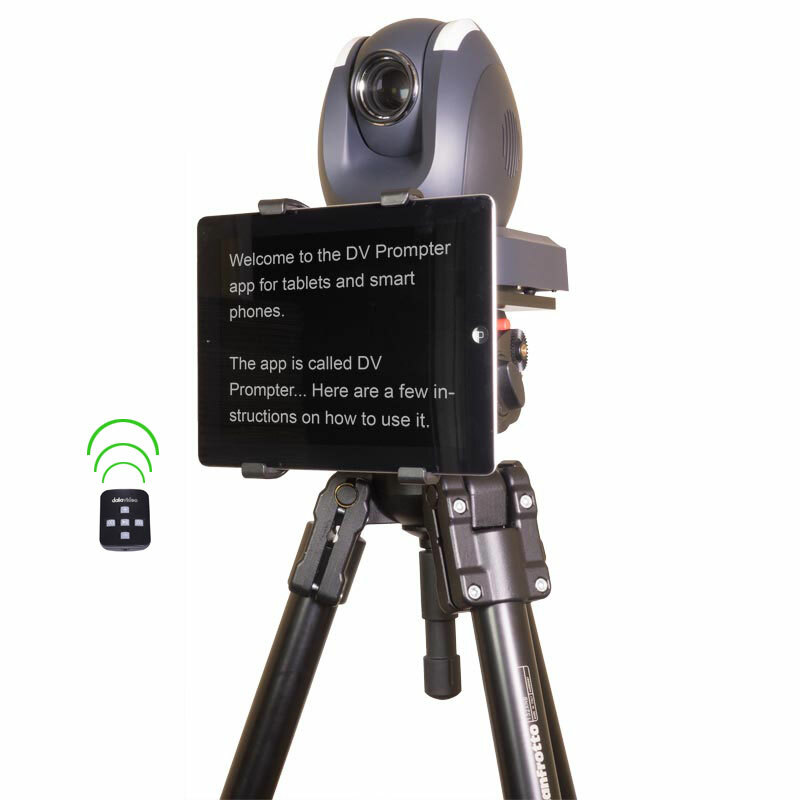 TP-150 is the world’s first teleprompter system dedicated to PTZ cameras. It allows the presenter to read and control scripts in multiple languages. 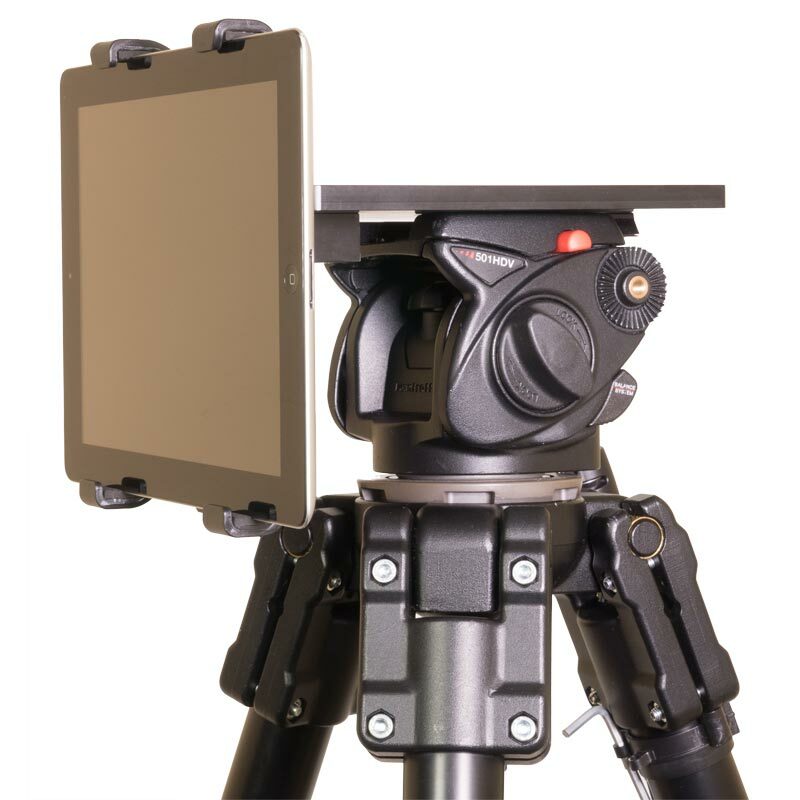 The kit includes a mount that holds the tablet securely below the camera head. 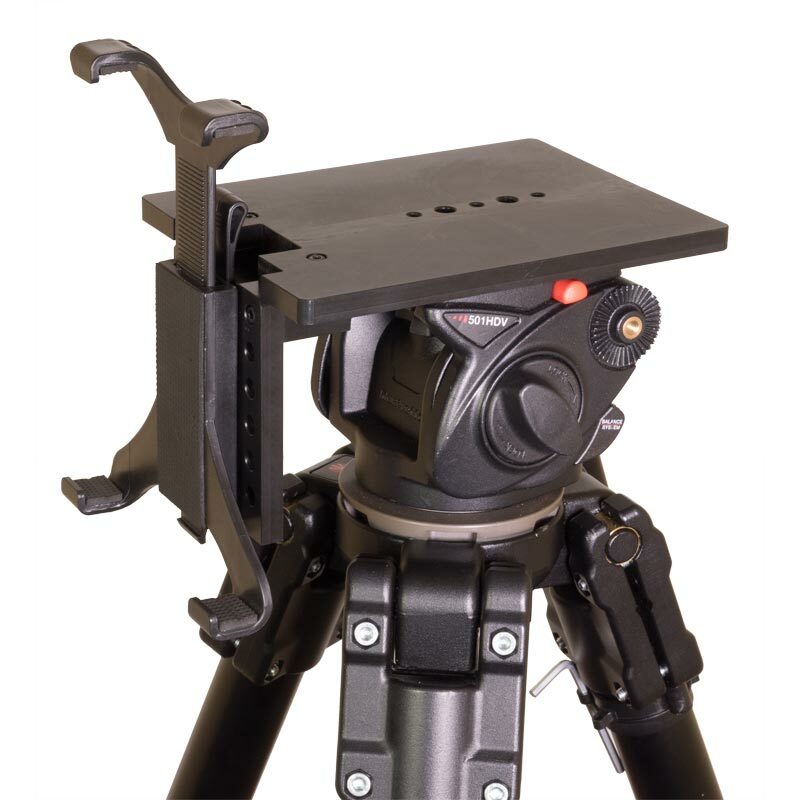 TP-150 is quick and easy to assemble with no special tooling required. 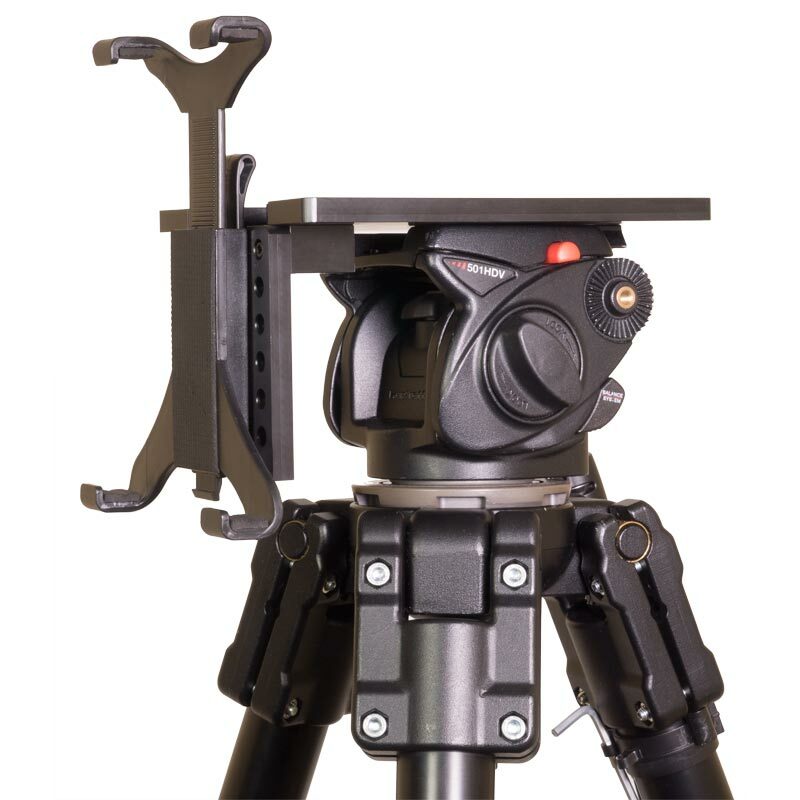 The frame attaches to any standard tripod quick release plate. TP-150 is a cost-effective solution that can be operated entirely by the presenter using the optional bluetooth or wired controller. It is suitable for small studios, business presentations and conferences or live events. Control the speed of your prompting, jump between break marks and switch scripts with the optional wireless or wired WR-500 controller. The App allows easy and quick overview of all your scripts. Users can send a document to the software via email or copying and pasting text. With the script editing and timing tool, text can be amended or added to accommodate any last minute changes. The App gives the user control over the background colour and the font type, size and colour. It is intuitive to operate allowing quick changes to be made in the heat of a live production.